Most residences painted prior to 1978 will contain some lead-based paint. It was widely used on exterior woodwork, siding, and windows as well as interior finishes. 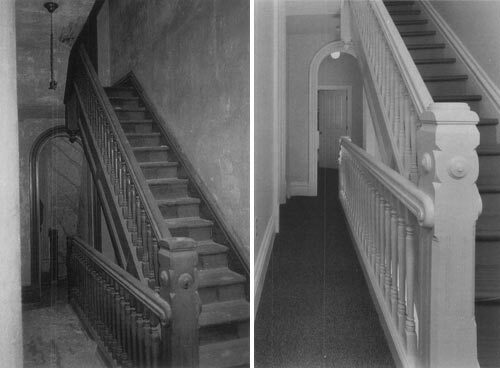 This apartment stairhall retains its historic character after a successful rehabilitation project that included work to control lead-based paint hazards. Photo: Crispus Attucks Community Development Corporation. This Preservation Brief is under revision to reflect current Federal laws and regulations concerning lead-based paint. This excerpt from the 2006 revision of the Brief provides general background and evaluation information. For additional information on current laws and regulations, contact or visit the websites of the Environmental Protection Agency and your state’s environmental and housing agencies. Lead-based paint, a toxic material, was widely used in North America on both the exteriors and interiors of buildings until well into the second half of the twentieth century. If a "historic" place is broadly defined in terms of time as having attained an age of fifty years, this means that almost every historic house contains some lead-based paint. In its deteriorated form, it produces paint chips and lead-laden dust particles that are a known health hazard to both children and adults. Children are particularly at risk when they ingest lead paint dust through direct hand-to-mouth contact and from toys or pacifiers. They are also at risk when they chew lead-painted surfaces in accessible locations. In addition to its presence in houses, leaded paint chips, lead dust, or lead-contaminated soil in play areas can elevate a child's blood lead level to a degree that measures to reduce and control the hazard should be undertake. The premise of this Preservation Brief is that historic housing can be made lead-safe for children without removing significant decorative features and finishes, or architectural trimwork that may contribute to the building's historic character. Historic housing—encompassing private dwellings and all types of rental units—is necessarily the focus of this Brief because federal and state laws primarily address the hazards of lead and lead-based paint in housing and day-care centers to protect the health of children under six years of age. Rarely are there mandated requirements for the removal of lead-based paint from non-residential buildings. Lead compounds were an important component of many historic paints. Lead, in the forms of lead carbonate and lead oxides, had excellent adhesion, drying, and covering abilities. White lead, linseed oil, and inorganic pigments were the basic components for paint in the 18th, 19th, and early 20th centuries. Lead-based paint was used extensively on wooden exteriors and interior trimwork, window sash, window frames, baseboards, wainscoting, doors, frames, and high gloss wall surfaces such as those found in kitchens and bathrooms. Almost all painted metals were primed with red lead or painted with lead­ based paints. Even milk (casein) and water-based paints (distemper and calcimines) could contain some lead, usually in the form of hiding agents or pigments. Varnishes sometimes contained lead. Lead compounds were also used as driers in paint and window glazing putty. A large-scale historic rehabilitation project incorporated sensitive lead-hazard reduction measures. Interior walls and woodwork were cleaned, repaired, and repainted and compatible new floor coverings added. The total project was economically sound and undertaken in a careful manner that preserved the building's historic character. Before:left, after:right. Photos: Landmarks Design Associates. 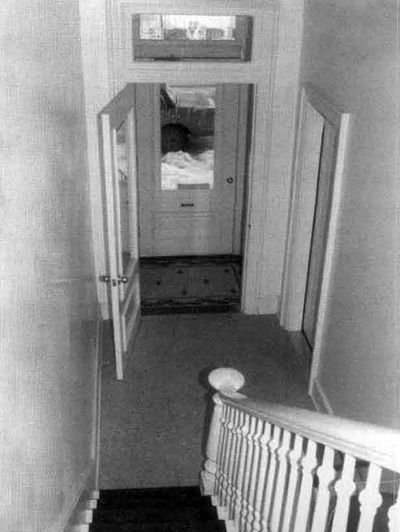 In 1978, the use of lead-based paint in residential housing was banned by the federal government. Because the hazards have been known for some time, many lead components of paint were replaced by titanium and other less toxic elements earlier in the 20th century. Since houses are periodically repainted, the most recent layer of paint will most likely not contain lead, but the older layers underneath probably will. Therefore, the only way to accurately determine the amount of lead present in older paint is to have it analyzed. It is important that owners of historic properties be aware that layers of older paint can reveal a great deal about the history of a building and that paint chronology is often used to date alterations or to document decorative period colors. Highly significant decorative finishes, such as graining, marbleizing, stenciling, polychrome decoration, and murals should be evaluated by a painting conservator to develop the appropriate preservation treatment that will stabilize the paint and eliminate the need to remove it. If such finishes must be removed in the process of controlling lead hazards, then research, paint analysis, and documentation are advisable as a record for future research and treatment. Typical health department guidelines call for removing as much of the surfaces that contain lead-based paint as possible. This results in extensive loss or modification of architectural features and finishes and is not appropriate for most historic properties. A great number of federally­ assisted housing programs are moving away from this approach as too expensive and too dangerous to the immediate work environment. A preferred approach, consistent with The Secretary of the Interior’s Standards for the Treatment of Historic Properties, calls for removing, controlling, or managing the hazards rather than wholesale-or even partial-removal of the historic features and finishes. This is generally achieved through careful cleaning and treatment of deteriorating paint, friction surfaces, surfaces accessible to young children, and lead in soil. Lead-based paint that it not causing a hazard is thus permitted to remain, and, in consequence, the amount of historic finishes, features, and trimwork removed from a property is minimized. Evaluate the options for lead hazard control in the context of historic preservation standards. The historical significance, integrity, and architectural character of the building always need to be assessed before work is undertaken that might adversely affect them. An owner may need to enlist the help of a preservation architect, building conservator or historian. The State Historic Preservation Office (SHPO) may be able to provide a list of knowledgeable preservation professionals who could assist with this evaluation. Features and finishes of a historic building that exhibit distinctive characteristics of an architectural style; represent work by specialized craftsmen; or possess high artistic value should be identified so they can be protected and preserved during treatment. When it is absolutely necessary to remove a significant architectural feature or finish-as noted in the first two priorities listed below-it should be replaced with a new feature and finish that matches in design, detail, color, texture, and, in most cases, material. Finally, features and finishes that characterize simple, vernacular buildings should be retained and preserved; in the process of removing hazards, there are usually reasonable options for their protection. Wholesale removal of historic trim and other seemingly less important historic material, undermines a building's overall character and integrity and, thus, is never recommended. Non-significant or altered areas where removal, rigid enclosure, or replacement could occur. This hierarchy gives an owner a working guide for making decisions about appropriate methods of removing lead paint. 2. Undertake a risk assessment of interior and exterior surfaces to determine hazards from lead and lead-based paint. While it can be assumed that most historic housing contains lead-based paint, it cannot be assumed that it is causing a health risk and should be removed. The purpose of a risk assessment is to determine, through testing and evaluation, where hazards from lead warrant remedial action. Testing by a specialist can be done on paint, soil, or lead dust either on-site or in a laboratory using methods such as x-ray fluorescence (XRF) analyzers, chemicals, dust wipe tests, and atomic absorption spectroscopy. Risk assessments can be fairly low cost investigations of the location, condition, and severity of lead hazards found in house dust, soil, water, and deteriorating paint. Risk assessments will also address other sources of lead from hobbies, crockery, water, and the parents' work environment. A public health office should be able to provide names of certified risk assessors, paint inspectors, and testing laboratories. These services are critical when owners are seeking to implement measures to reduce suspected lead hazards in housing, day-care centers, or when extensive rehabilitations are planned. The paint chronology of this mantel, seen in the exposed paint layers in the left corner, proved it had been relocated from another room of the house. To remove a significant feature's paint history and the evidence of its original sequence of color by stripping off all the paint is inappropriate - and unnecessary - as part of a lead hazard reduction project. Careful surface preparation and repainting with lead-free top coats is recommended. Photo: NPS Files. the age of the occupants who might come into contact with lead paint. It is important from a health standpoint that future tenants, painters, and construction workers know that lead-based paint is present, even under treated surfaces, in order to take precautions when work is undertaken in areas that will generate lead dust. Whenever mitigation work is completed, it is important to have a clearance test using the dust wipe method to ensure that lead-laden dust generated during the work does not remain at levels above those established by the Environmental Protection Agency (EPA) and the Department of Housing and Urban Development (HUD). A building file should be maintained and updated whenever any additional lead hazard control work is completed. 3. Evaluate options for hazard control in the context of historic preservation standards. The Secretary of the Interior's Standards for the Treatment of Historic Properties -established principles used to evaluate work that may impact the integrity and significance of National Register properties--can help guide suitable health control methods. The preservation standards call for the protection of historic materials and historic character of buildings through stabilization, conservation, maintenance, and repair. The rehabilitation standards call for the repair of historic materials with replacement of a character-defining feature appropriate only when its deterioration or damage is so extensive that repair is infeasible. From a preservation standpoint, selecting a hazard control method that removes only the deteriorating paint, or that involves some degree of repair, is always preferable to the total replacement of a historic feature. By tying the remedial work to the areas of risk, it is possible to limit the amount of intrusive work on delicate or aging features of a building without jeopardizing the health and safety of the occupants. To make historic housing lead-safe, the gentlest method possible should be used to remove the offending substance-lead-laden dust, visible paint chips, lead in soil, or extensively deteriorated paint. 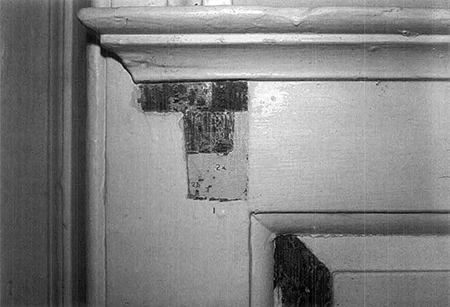 Overly aggressive abatement may damage or destroy much more historic material than is necessary to remove lead paint, such as abrading historic surfaces. Another reason for targeting paint removal is to limit the amount of lead dust on the work site. This, in turn, helps avoid expensive worker protection, cleanup, and disposal of larger amounts of hazardous waste. Whenever extensive amounts of lead must be removed from a property, or when methods of removing toxic substances will impact the environment, it is extremely important that the owner be aware of the issues surrounding worker safety, environmental controls, and proper disposal. Appropriate architectural, engineering and environmental professionals should be consulted when lead hazard projects are complex. Within the context of the historic preservation standards, the most appropriate method will always be the least invasive. Reducing and controlling lead hazards can be successfully accomplished without destroying the character-defining features and finishes of historic buildings. Federal and state laws generally support the reasonable control of lead-based paint hazards through a variety of treatments. The key to protecting children, workers, and the environment is to be informed about the hazards of lead, to control exposure to lead dust and lead in soil, and to follow existing regulations. In all cases, methods that control lead hazards should be selected that minimize the impact to historic resources while ensuring that housing is lead-safe for children. Sharon C. Park, FAIA, is the former Chief, Technical Preservation Services, National Park Service. Douglas C. Hicks is the former Deputy Superintendent, Historic Preservation Training Center, National Park Service. Both authors served on the National Park Service Housing Task Force addressing lead-safe employee housing and on various national panels to discuss combining lead-safe housing with historic preservation concerns.